Are you still living in the older days? The era where sending communication on paper was the only option. And, E-mailers and internet communications were a far fetched dream. The past had nothing but dreams, it is today that the world has all the possibilities built in front of us. It was those old days when working as a freelancer was tough. Manual invoicing and communication were the toughest to manage. 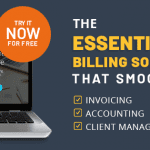 The new generation allows you to work smartly with freelance billing software. No more fluffy balls in the sky, clouds can now save your data too. No, We’re not joking! 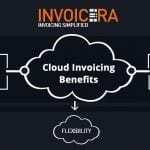 Freelancers invoice software like Invoicera helps you save all of your information on the cloud and access it however you want to. Now, you can create invoices, save and send them easily. Also, manage your entire group of information without stacking up piles of papers. Saving your data on the cloud makes sure you never get furious about getting it stolen and misuse. Your data is safe with you, without you leaving any physical proof of it. Writing up an invoice on paper is lethargic. And sending it via snail-mail take it eternity to reach. When you’re sending an invoice via snail-mail there are a list of activities that you need to conduct manually. The manual processes are not only slower but error prone too. A software for freelancers Invoicing takes all your hassle away. 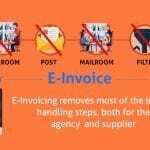 It lets you create invoices in less than 3 minutes. Add items from dropdowns and calculate taxes automatically. The system will automatically select values from the drop-down avoiding you to create additional steps. 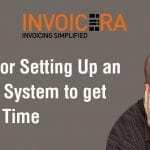 Invoicing software for freelancers remember the information for each customer, so once you set up a client is in the system, all you need to do is input the valued amount to invoice. The system remembers who to send the invoice to, so with just a click of a button, your invoice is on its way to the right person’s inbox. 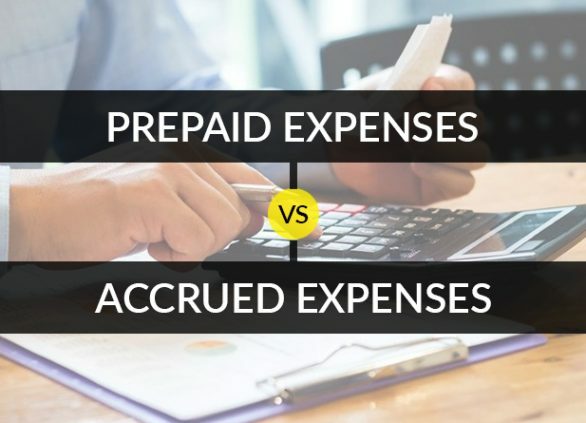 When using online billing software for freelance billing, you know your mistakes are getting reduced visibly. No more typos, over-writing and missing out details. 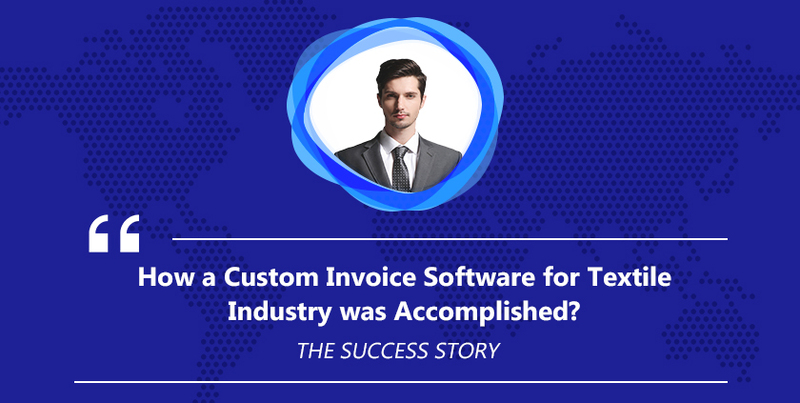 Easily create and edit invoices without wasting time on re-writing invoices again and again. Typos can end up costing you time and money, so the more automated the process is the lower the risk. Many freelancers in the industry work on clients that they bill monthly for continuous projects. 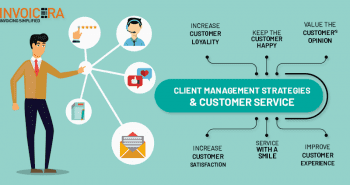 Freelancers are one of the highest parts in the industry who works with clients on a recurring basis. You bill your clients on a weekly, monthly, quarterly or yearly basis. 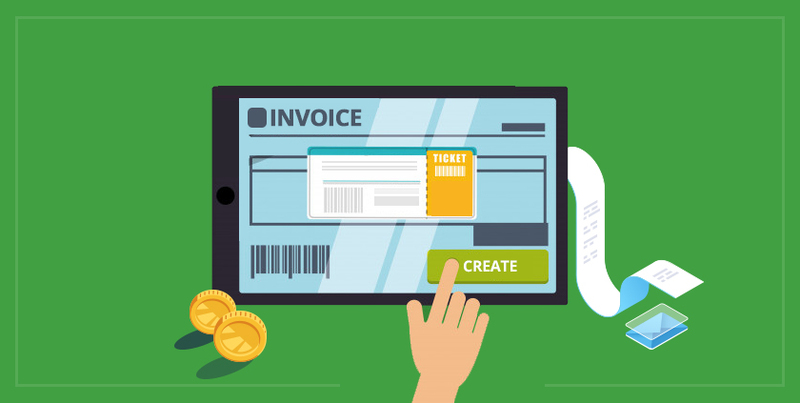 Easily set your digital invoicing system to automatically send out a payment request at the end of each period. It will make invoicing hassle-free for you and completely reliable. You must be wondering how? Let’s clear the air! Getting an invoice paid early starts from the very first step that you take. As early as you will create the invoice and send it to the client, your chances of getting paid early will rise. Any invoice delayed more than 60 days loses its significance more than 75%. You even lose the chances of getting paid half the amount. Also, when you send an invoice via email it gets delivered 99% quicker than any other snail-mail. Allowing you to ask clients to process payments quicker. It is more professional, convenient and reliable. Maybe as a freelancer, you might not feel the need to create communications professionally as you’re not a company. But let us explain one thing for you no matter how big or small your company is, your clients expect you to be extremely professional. Invoices are one of the ways to explain to your clients about your professionalism. 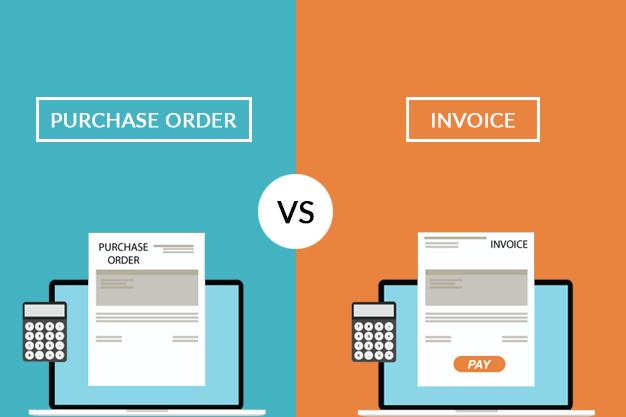 Do not fuss about, opt for Invoicera and start creating invoices with pre-designed invoice templates. Add logo, messages, and colors for a more personalized and professional look. Forget carrying the entire paper load on your back! The one device in your palm can now support all of your information. Simply log in and get started! As we know you’re on the go all the time. Sitting back and creating invoices becomes a tedious task. To simplify the invoicing process Invoicera has made sure you can access your account from anywhere on your mobile device. Download Invoicera on your Android and iOS device to get started. 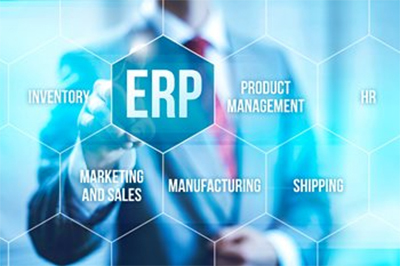 Easily create invoices, track payments and analyze reports to improve business productivity. 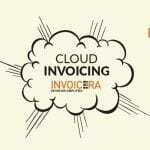 HOW INVOICERA HELPS YOU IN CREATING EVERY INVOICE PERFECTLY? 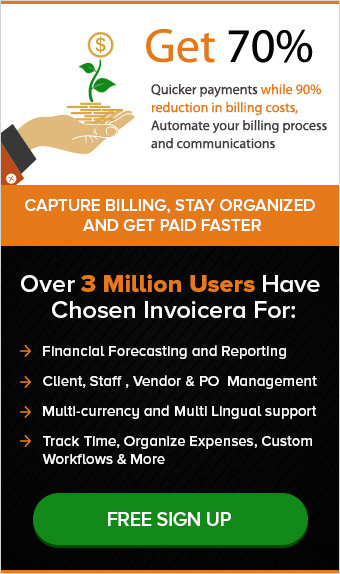 Invoicera is a leading choice of more than 3 million business around the globe. Freelancers, small businesses and even enterprises have shown tremendous love for us. 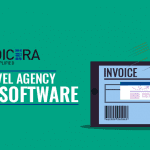 Invoicera has a completely free plan for freelancers just like you to create invoices online and manage your business activities efficiently. All you need to do is simply sign up and create your company. Don’t forget! Invoicera has 3-layered super security to keep your account secure and away from any intrusion. 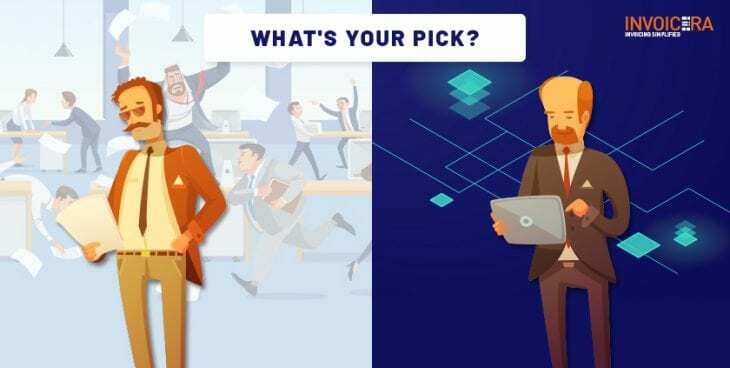 How to overcome the major challenges of Digital Agencies? From my experience, I can say that Payment transfer notification is among many benefits of online invoicing programs. This saves time of freelancers to check their bank information for due payments on their own. But invoicing program helps them know the payment status by sending reminders to the concerned person.